Thursday June 8 is set to be the busiest day for Galway auctioneering firm O’Donnellan & Joyce, as it hosts the largest auction ever held in the west of Ireland. Auctioneer Colm O’Donnellan said the team “are busy with final open viewings and enquiries” for their list of more than 80 properties to go under the hammer. The June 8 auction is the third in the series of Wild Atlantic Way property auctions by O’Donnellan & Joyce for 2017, and is set to break records. Registration is open from 11am with the sale to commence at 12 noon sharp in The Harbour Hotel, New Dock Road, Galway. “This auction has an incredible selection of attractively priced property for both investors and home owners, with commercial and residential properties listed for sale throughout the Atlantic seaboard but dominated by a large selection of very attractive properties throughout Galway city," Colm O'Donnellan said. "The June 8 auction also has property for sale in Donegal, Mayo, Sligo, Longford, Roscommon, Laois, Clare, Limerick, Kerry, Cork, and Leitrim. Charming, tastefully refurbished, 18th century three bed single storey cottage on approximately two acres adjacent to a special area of conservation (SAC ). Tree lined avenue, views from a fabulous seating area of the neighbouring 800 acre turlough (winter lake and summer pasture ) teeming with wildlife. The house sits in extensive gardens and has its own orchard with apple and damson trees and gooseberry bushes. AMV: €270,000. Open viewings Wednesday and Saturday 12.30pm to 1.30pm. Very impressive four bed detached family home in an elevated location, with views down to Loughrea Lake, with a large balcony on the first floor to lounge and enjoy the view. 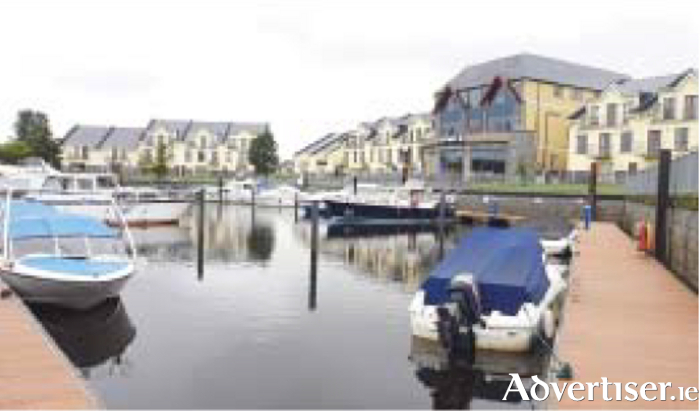 Less than 2km to Loughrea town centre and 30 minutes' commute to Galway city via M6 motorway. Features include large rear garden and patio area and mature ivy, shrubs, and trees. AMV: €255,000. Open viewings Wednesday and Saturday 11am to 12 noon. Fabulous original cottage extended and designed to make a superb contemporary home. Graced by magnificent gardens on 0.72 acre site with a large patio that wraps around the side and rear of the house. Excellent finishes and features to include gas fired underfloor heating, vaulted ceiling in kitchen/dining/family room, and low, deep set, original windows. AMV: €270,000. Open viewings Wednesday and Saturday 2pm to 3pm. Large detached eight bed home standing on a one acre site with breathtaking views overlooking Galway Bay. Needs refurbishment. Located close to Merlin Park Hospital, GMIT, and Galway Clinic, this property would make a perfect family home in the right hands. AMV: €300,000. Open viewings Wednesday and Saturday 5pm to 6pm. Exceptional three bed stone faced cottage, in development set on a seven acre site. Five minutes' walk to Ballyconneely, 10 minutes' walk to a secluded beach overlooking Twelve Bens. Connemara Golf Club is four miles away and Clifden and Roundstone are 20 minutes' drive. AMV: €210,000. Open viewing Sunday 12.30pm to 1.15pm. Commercial/residential investment opportunity. End of terrace ground floor unit of approximately 600sq ft, operating as a launderette, together with four bed duplex apartment overhead. Accommodation: Living room/kitchenette, bathroom, four beds, and one en suite. Being sold with tenants in place. AMV: €190,000. Viewing by appointment. Single storey commercial premises with flat roof. Currently operating as a Gala grocery store and has a petrol forecourt with Top Oil franchise. Property comprises 2,200sq ft retail area, deli counter and butcher's, storage room, private office, and staff toilets. Being sold with tenant in place. Charming bungalow in rural setting and set on a half-acre site. Only 25 minutes' drive to Eyre Square and eight minutes to Clarinbridge village with church, shops, bars, and restaurants. Within 9km drive of Oranmore with primary and secondary schools. Option to purchase adjoining 16 acres of farmland. AMV: €185,000. Open viewings Wednesday and Saturday 3.30pm to 4.30pm. Two four bed semidetached houses and an adjoining site with planning for nine houses, for sale in one lot. One house is fully completed and in good condition. The second property is completed to a builder's finish and requires completion works. AMV: €185,000. Open viewing Saturday 10am to 10.30am. Enchanting, authentically restored, three bed (two bath ) traditional thatched cottage set on a half-acre site. Southwest facing front garden with clear uninterrupted views of Galway Bay and the Burren in County Clare. Very private, surrounded by mature trees and shrubs. AMV: €175,000. Open viewings Wednesday and Saturday 4pm to 5pm. Modern two bed ground floor apartment located just off the Dublin Road and within walking distance of Oranmore village. Living/kitchen/dining, two double bedrooms, one en suite, entrance hallway, and main bathroom. Small patio overlooking green communal garden. Ideal first time buyer's home or gilt edged investment. AMV: €120,000. Open viewings Thursday and Saturday 11.30am to 12.30pm. Two bed first floor apartment finished to a good standard throughout. Balcony to rear of apartment. Being sold with tenants in place. Communal areas are maintained by Winters Property Management. Ground floor retail unit of approximately 550sq ft.
First floor approximately 800sq ft of reception area and treatment rooms. Second and third floor approximately 550sq ft each with treatment rooms and toilets. Entire building for sale. Being sold with tenants in place. AMV: €500,000. Open viewing Thursday and Saturday 10.30am to 11.15am. Semidetached home located in Salthill, one of the most attractive areas for property in Galway city. A short stroll to Pearse Stadium and easy access to Salthill's vibrant bars and restaurants. AMV: €475,000. Open viewings Wednesday and Saturday 3.30pm to 4.30pm. If you are looking for a fine detached home that you can put your own stamp on, located in one of the most sought after locations in Galway, then this is it, standing proud at the top of Taylor's Hill around the corner from Threadneedle Road and just a leisurely stroll from the Prom. AMV: €445,000. Open viewings Wednesday and Saturday 11am to 12 noon. End of terrace four bed townhouse, overlooking the canal and close to NUIG and UHG. Perfect location in a quiet, leafy cul-de-sac but close to Galway Cathedral and strolling distance into the city centre via Presentation Road and Mill Street. Semidetached four bed house with garage to side located in the leafy, mature, suburb of Renmore. Ten minutes' walk to Bon Secours Hospital and Scoil Chaitriona Primary School. Perfect location for a growing family. AMV: €260,000. Open viewings Wednesday and Saturday 11am to 12 noon. Wonderful three bed duplex apartment located over the first and second floors. Five minutes' walk to Galway city centre and Salthill Promenade. Situated to the front of the development above the SuperValu supermarket within a secure gated complex. In turnkey condition throughout. Ideal owner occupied residence, holiday home, or gilt edged investment. AMV: €230,000. Open viewings Thursday 2pm to 3pm. Lovely three bed terraced house in modern, well maintained, development. Close to Coláiste na Coiribe, Gaelscoil Mhic Amhlaigh, Barna Woods, and sports facilities at Cappagh Park. AMV: €230,000. Open viewings Wednesday and Saturday 12.30pm to 1.30pm. AMV: €220,000. Open viewings Wednesday and Saturday 3.30pm to 4.30pm. Superbly located two bed apartment. Located within walking distance of NUIG and Galway city centre. Ideal investment opportunity. Adjacent to Dunnes Stores Shopping Centre. AMV: €195,000. Open viewings Wednesday and Saturday 2pm to 3pm. Three bed terraced house in mature development in Mervue. Close to Bon Secour Hospital, GMIT, Parkmore and Ballybrit Business Parks. Less than 3km to M6 Galway to Dublin motorway and 10 minutes' drive to Eyre Square. AMV: €175,000. Open viewings Wednesday and Saturday 12.30pm to 1.30pm. Duplex townhouse with ground floor entrance, 1.5km from Eyre Square and close to Mervue Business Park, g Hotel, and Eye Cinema with ancillary shops and restaurants. Gilt edge investment property for a very shrewd investor. Ground floor two bed apartment in the heart of Salthill with church, bars, shops, restaurants, and the famous Promenade all within strolling distance. Spanish Arch, Quay Street, and Galway city centre are only a 2km walk away. AMV: €175,000. Open viewings Wednesday and Saturday 5pm to 6pm. AMV: €165,000. Open viewings Wednesday and Saturday 2pm to 3pm. Commercial investment opportunity. Two retail units of approximately 610sq ft each. Hairdressing salon let on an ongoing basis at €500 per month. Former launderette is vacant. AMV: €150,000. Viewings by appointment. Modern first floor office suite, adjacent to Quay Street and Shop Street and in the heart of the city's tourist area. Accommodation: reception, four cubicle office spaces, and toilet facilities. Reserve has been reduced. AMV: €125,000. Open viewings Wednesday and Saturday 5pm to 6pm. Ground floor commercial unit of approximately 1,800sq ft. Divided into separate offices/therapy rooms of approximately 100sq ft. each. Toilet facilities, canteen area, and storage along with a reception area. AMV: €140,000. Viewings by appointment. Modern two bed first floor apartment being sold with tenants in place, currently generating €800 per month. The tenants have been in situ for approximately seven years. Ideal investment opportunity. AMV: €140,000. Open viewing Thursday 2.45pm to 3.30pm. First floor office unit, 1,300sq ft includes nine separate offices, kitchen area, and toilet facilities. Communal parking and located beside shops and restaurants. AMV: €75,000. Viewing by appointment. Superb four bed property in a small cluster of detached cottages on the southern shore of Cashel Bay, in the heart of Connemara. With breathtaking views of the surrounding, picturesque, unspoiled, landscape. AMV: €110,000. Open viewing Sunday 2.30pm to 3.15pm. Large parcel of land with extensive road frontage on to the N65 Loughrea - Portumna road. Approximately 7.5 acres of good quality agricultural land with development potential, however not being sold subject to planning permission. Folio Number GY45268F. Three sites for sale individually or as a combination. Within 20 minutes' drive of Galway city centre and five minutes to Oranmore. Sites B and C are 0.74 acre each and Site D is 1.33 acres approximately. AMV: €27,000 each for sites B and C; €36,000 for site D.
Executor sale. Agricultural land of approximately 16 acres for sale. Located within 5km of Clarinbridge and Oranmore. For sale separately or with adjoining bungalow. Land of approximately 4.97 hectares (12.28 acres ) in two parcels on Folio GY107496F. Scenic location in heart of Gaeltacht. Connemara Airport is 20 minutes' drive. Large mixed use building with a ground floor commercial unit currently occupied as a doctor's surgery along with two overhead self-contained apartments in need of upgrading. Detached three bed dormer bungalow with spectacular views of the Atlantic Ocean. Ideal holiday home only 4km from the lively village of Doolin and within close proximity of the Cliffs of Moher and Liscannor. AMV: €30,000. Open viewing Sunday 12.30pm to 1.30pm. Five bed detached two storey house on an elevated corner site. Located in a development of detached houses. Situated 12km from Ennis. AMV: €135,000. Open viewing Sunday 11am to 11.45am. Four bed detached property located in a cul-de-sac within 8km of Ennis town. The property is in need of slight upgrading and within commuting distance of all amenities. Former pub of 8,500sq ft with overhead accommodation. This property is ideally located being within walking distance of the town centre. Gilt edged investment opportunity. Large commercial building which previously operated as a guest house with several self-contained units. Overlooking Owenahincha beach in West Cork, ideal for several uses. In need of total refurbishment. Derelict stone built farmhouse of approximately 800sq ft on an approximately 0.5 acre site. Folio number CK120558F. Located in in a rural location approximately 8km from Rosscarbery and 10km east of Clonakilty. Remodelled in 1996 to accommodate students for the local Gaeltacht. The property features 10 bedrooms (seven en suite ). Situated in a scenic rural area, convenient to the Atlantic Drive. Ideal as a hostel or guesthouse. Three bed detached house on 0.70 hectare. Located within a small cul-de sac of five other similar residential properties, in a scenic area on the edge of Mulroy Bay. Folio no DL75456F. Open viewing Saturday 1pm to 1.45pm. AMV: €110,000. Detached bungalow located on the Portlaoise Road in Abbeyleix, approximately 14km from Portlaoise. Folio LS11248F. Standing on approximately 0.8 acre. Open viewings Saturday 2pm to 3pm. AMV: €135,000. Large two bed apartment located on the first floor overlooking a marina. On the grounds of the Leitrim Marina Hotel with bar/restaurant and children’s playground. Open viewing Saturday 2.45pm to 3.15pm. AMV: €85,000. Three sites for sale in one lot. Folio number LK54854F. Kilmallock and Newcastle West are 20 minutes drive away. Ground floor apartment only 500m from the village of Ballymahon. Located 20 minutes' drive from Athlone, Longford, and Mullingar towns. Estimated rental income €500 per month. AMV: €50,000. Open viewing Saturday 11.45pm to 12.15pm. For sale 65 acres of land, Folio number MY13815. Being sold with tenant in place. Terraced commercial building which comprises ground floor public house with full seven day licence in place (currently known as Keegan’s Pub ). Also included is the overhead living accommodation which forms part of the sale and is included in the rental lease. Ground floor Chinese takeaway plus overhead two bed apartment, with open plan living room. The apartment has separate access. Being sold with tenants in place. AMV: €120,000. Open viewing Sunday 12.15pm to 12.45pm, restaurant only. Circa 1.5 acre of grasslands. Folio number MY64349F. Located close to Ballinrobe town. Four apartments for sale in one lot. Three one-beds and one two-bed. Situated just off the Ballyhaunis Road in the bustling town of Claremorris. Three apartments earning €375 per month and the fourth €400 per month. Tenants in residence for four years. AMV: €120,000. Open viewing Sunday 11am to 11.30am. Scenic views along the Wild Atlantic Way and would be an ideal holiday residence. Achill Island is one of Ireland's most scenic locations and easily accessible from Westport (40km ). AMV: €95,000. Open viewing Sunday 12 noon to 1pm. Traditional style single storey cottage located approximately a 10 minute drive from both Ballinrobe and Claremorris. The property requires upgrading both internally and externally. Open viewing Sunday 10am to 10.30am. AMV: €35,000. End of terrace house sub-divided into two self-contained apartments. One bed ground floor apartment and three bed first floor apartment. Both units are vacant and are in need of extensive refurbishment. AMV: €35,000. Open viewing Sunday 1.30pm to 2pm. Development land of approximately three acres. Located on the east side of Edenderry town on the R402. Motorway (M4 ) at Enfield is 15 minutes' drive. Requires upgrading both internally and externally. Standing on a small site of approximately 0.3 acre, close to the main road, on the outskirts of Keadue village. Open viewing Saturday 3.30pm to 4pm. AMV: €75,000. Four bed detached property in a small, well maintained, estate. This is a much sought after residential area close to Boyle town centre and all local amenities. AMV: €70,000. Open viewing Saturday 1.30pm to 2pm. Three bed purpose built modern apartments in student residence. On-site facilities include launderette, gymnasium, recreation room, car parking, and convenience store. Panoramic views over Lough Gill. All three retail units are currently at builder's finish and for sale in one lot. AMV: €60,000. Open viewing Sunday 5pm to 5.30pm. Twelve four bed semidetached houses for sale in one lot. (Nos 4, 5, 6, 8, 9, 11, 12, 13, 14, 15, 16, and 22 ). At various stages of completion. Each house is 122sq m (1,317sq ft ) approximately. Prime investment in an expanding area of Co Sligo. AMV: €320,000. Open viewing Sunday 3.15pm to 4pm. Nineteen acres on Folio SL7404F. Good quality land sub divided into fields. End of terrace property subdivided into four self-contained apartments. In need of completion. Located 10km from Charlestown and Swinford. Ballina is approximately 20km away. The full list of properties for sale by auction on June 8 can be viewed online on www.myhome.ie, www.daft.ie, and www.odonnjoyce.ie/auction, and details are available from the auction team at O’Donnellan & Joyce auctioneers, 5 Mary Street, Galway, 091 564 212.